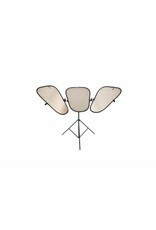 Lastolite Triflector mkII set of 3 silver/white panels. 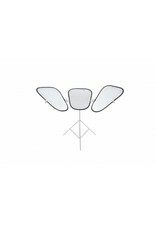 The Triflector MkII from Lastolite is widely used in makeover and fashion shoots because of the distinctive 'catch lights' the subject receives to the eyes. The hinge mechanisms make all three panels individually adjustable to get light exactly where you need it. 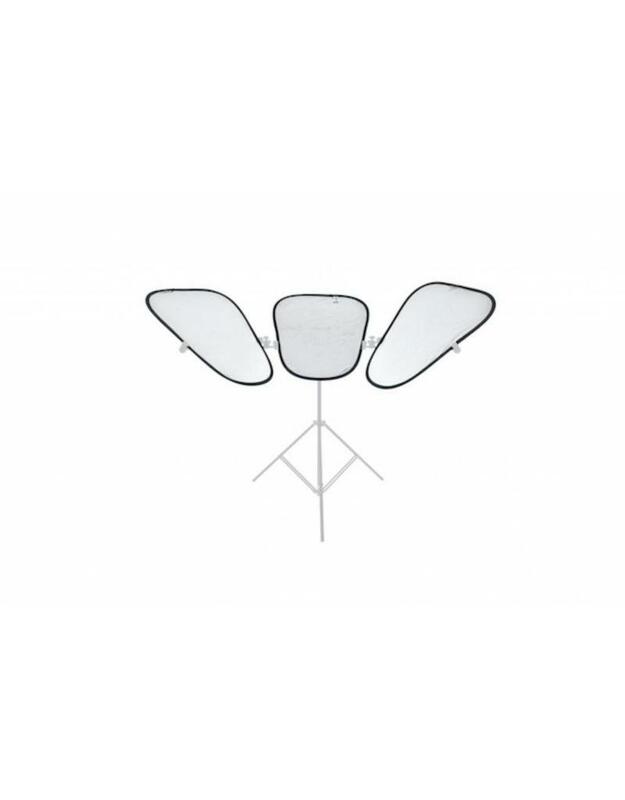 The panels each fold like our collapsible reflecting panels. Triflector MkII panels weighs only 640g. • Unique quality of light.